Chaminade College Preparatory Board Chairperson Pamela Meyer ’76 announced on March 7 that Robert Webb has been appointed as the school’s fifth president. After a six-month long, nationwide search, Mr. Webb has been selected and will begin his tenure on July 1, 2014. He is currently vice president of institutional advancement at Chaminade. 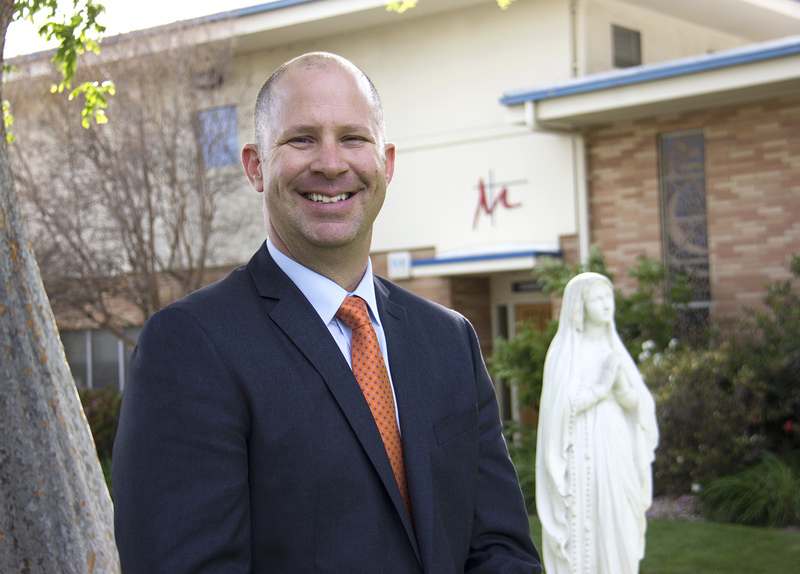 Mr. Webb is the successor to James Adams, who has served as Chaminade’s president since the 1996-1997 school year. In September 2013, Mr. Adams announced his intent to step down at the end of the 2013-2014 school year. He will continue to serve the Chaminade community as president emeritus. Mr. Webb is a Southern California native and a San Fernando Valley resident. Sarah, his wife of 16 years, is a school psychologist. They are the proud parents of two Chaminade students, Luke and James. Their Catholic parish is Our Lady of Lourdes in Northridge, California. Mr. Webb holds a bachelor’s degree in speech communication from California State University, Northridge. He completed his graduate work at Azusa Pacific University, where he earned a master’s degree in educational administration. With 22 years of experience in Catholic education, Mr. Webb has a well-rounded curriculum vitae. In 2004, he returned to Chaminade as director of development, and in 2008 was promoted to vice president for institutional advancement. He has also served as a school administrator at both The Webb Schools and Chaminade. His career began in education at Bishop Alemany High School as a teacher and coach; he taught math, health, physical education and social sciences. Mr. Webb also serves as an adjunct consultant with Catholic Schools Management (CSM), a Connecticut firm which serves Catholic schools, nationwide. His work with CSM focuses on comprehensive development program assessments, marketing programs, annual giving, capital campaign feasibility studies, and capital campaigns. This entry was posted in Faculty and Staff by Chaminade News. Bookmark the permalink.